The first full day of the 5th IWG World Conference on Women in Sport just concluded. 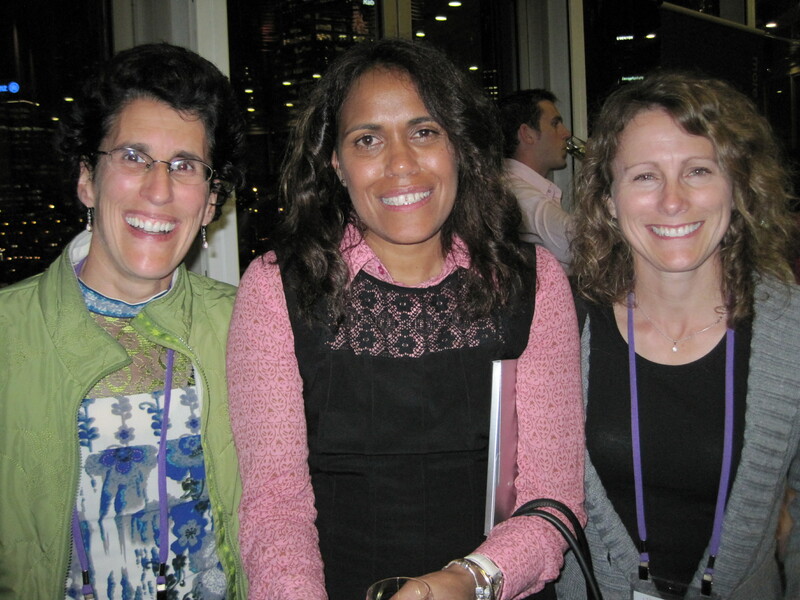 Last night was the opening keynote in which Cathy Freeman was in attendance (see photo). A video of Freeman’s 400m race at the 2000 Sydney Olympics was shown. Freeman was the first-ever Aborginal women to win a gold medal and she won it under intense pressure as the favorite on her home soil– still gives me goosebumps. I got to talk to her a bit and she was very gracious. My head is swimming with so much information and after meeting so many interesting women from around the world. There are more than 500 delegates in attendance from over 70 countries from every region of the world. The conference charge is PLAY. THINK. CHANGE and emerging themes are the lack of women in positions of power in sport, lack of media coverage, how to increase female participation, and how sport can be a vehicle for social change. This is a very well run and organized conference and it immediately reaffirmed to me that I love the work I do and that I’m doing exactly what I should be doing with my life—attempting to make a difference in the lives of females in and through sport. The morning keynote by Dr. Toni Bruce (New Zealand) was about media coverage. 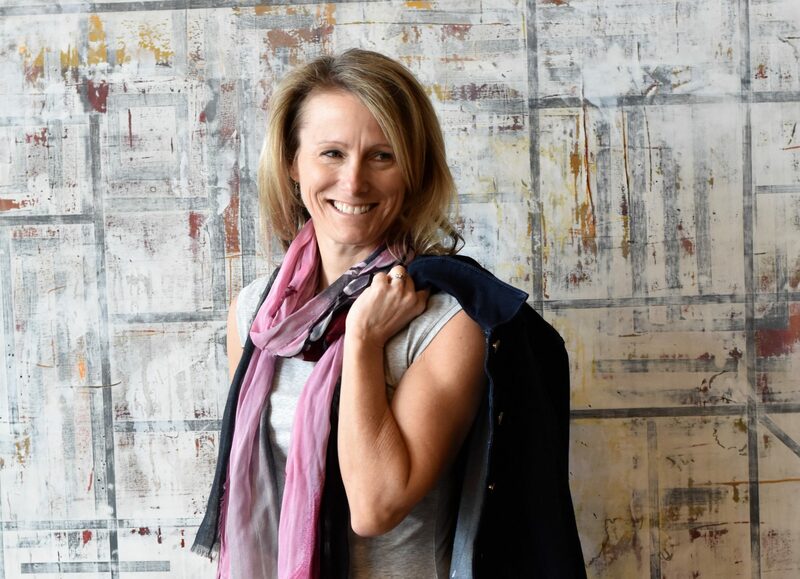 She argued that mainstream media coverage of female sportswomen has not changed much over 30 years so perhaps it is time we adopt a new paradigm, one that is realistic. She said that new media is a place women can create their own content and not have to rely on traditional media. The Tucker Center’s Fall Distinguished Lecture was on this very topic-women’s sport and social media, so I’ve written about this previously (click here, here, & here). Bruce gave the Women Talk Sports Network a shout out as an example of how new media for female athlete coverage can work. However I disagreed when she said that “content is Queen and quality is secondary.” I think that quality is important because if user-generated content is of poor quality or just reinforces the same old gender stereotypes, than I think it could be just as damaging. The need for media literacy and education around how to portray female athletes and why it is important, is a necessary next step in creating real social change in women’s sport. However, in Bruce’s defense because new media is an opt-in endeavor, perhaps quality is not much of an issue because the consumers are already fans of women’s sport. I doubt YouTube or blogging sites attract new fans to women’s sport, but it does provide a place for those desperately looking for coverage or information outside main stream media. However, I don’t think “we” should abandon fighting for equal coverage in mainstream media because if you see female athletes on TV, it sends a message that women’s sport is important and valued. My favorite quote so far was by our emcee who commenting on the scarcity of women in positions of power, she repeated a quote she’d read, “There is no glass ceiling, only a thick layer of men.” Elizabeth Broderick, one of our keynote speakers wrote a piece for the Sydney Morning Herald titled “Women hit the grass ceiling” which is very clever! The Aussies claim they are “sport mad” and I’m trying to discern it they are more crazy about sports than we are in the USA. How do you measure that? Is that a good thing, to be the most “sport mad”? Even though media coverage of women’s sport in Australia is no better than in the USA, right now I am watching a women’s soccer match on prime time network TV of the Matildas (the Aussie national women’s soccer team. The men’s national team is called the Socceroos) verses Korea on the Aussie ABC network (not the same ABC of the USA). You would NEVER see a women’s soccer game on the USA ABC network at 5pm on a Friday evening. More to come…. p.s.-I saw a picture of the 2012 London Olympic mascots in a session today. If you haven’t seen them, please click here. What were they thinking?